I would like to know if there's any way to always display current time in the touch bar in latest MacBook Pro. When using browsers and other applications in full screen, I'm unable to view the top status bar by default. How about some upvotes and sharing!! 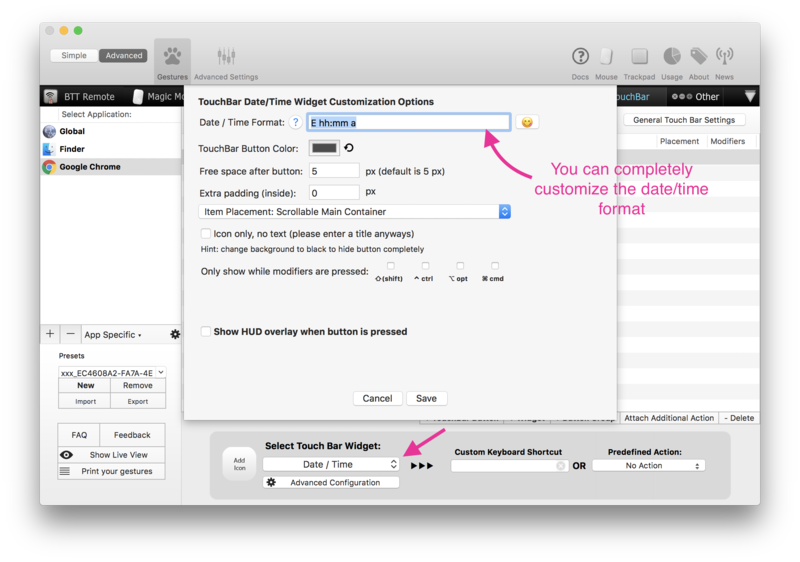 You can use BetterTouchTool to add custom widgets to the Touch Bar. Not the answer you're looking for? Browse other questions tagged macbook applications customization open-source touch-bar .